The Dublin manager is pleased to have had a selection headache for next Sunday’s Leinster SFC semi-final against Wexford. 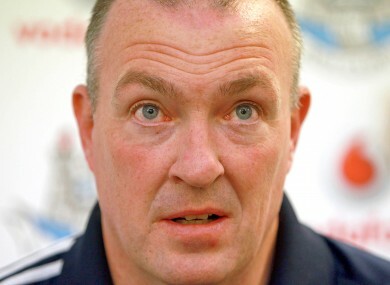 DUBLIN BOSS PAT Gilroy insists there were still some difficult calls to make when picking their side for Sunday’s Leinster SFC semi-final against Wexford despite the reigning All-Ireland champions having cruised to success in their opening championship victory over Louth. The return of midfielder Michael Darragh MacAuley, who injured his midriff in a fall off a bike before the Louth game, and Kilmacud Crokes defender Cian O’Sullivan, who was ruled out with a minor hamstring complaint for that clash, to full fitness has strengthened the options available to Gilroy. In addition recent All-Ireland U21 medal winners Emmett Ó Conghaile, Kevin O’Brien, Jack McCaffrey and Ciaran Kilkenny are all now members of the Dublin senior panel. But Gilroy has resisted the temptation to make changes. “There were three or four positions where people, for instance Cian O’Sullivan and Michael Darragh Macauley wo were injured the last day and have gone well since, were there and it was difficult not to be picking them. A week after the last game Cian was back training and he will certainly be in the subs at the weekend. The only fella that has any injury is Paul Brogan, he got a thigh strain in a club Championship match. Gilroy is pleased with Dublin’s preparations in the interim period since the Louth game with club activity helping to keep the players occupied. “The lads were playing club championship after the last game so we really only had two and a bit weeks to deal wit.,Iit wasn’t a full four week spell that they were with the Dubs. There were two rounds of the club championship played for most of them. We have only had two full A v B games in that time, which were good games and played at a good intensity. Email “Pat Gilroy: "It was hard to pick the team but it's a good problem to have."”. Feedback on “Pat Gilroy: "It was hard to pick the team but it's a good problem to have. "”.